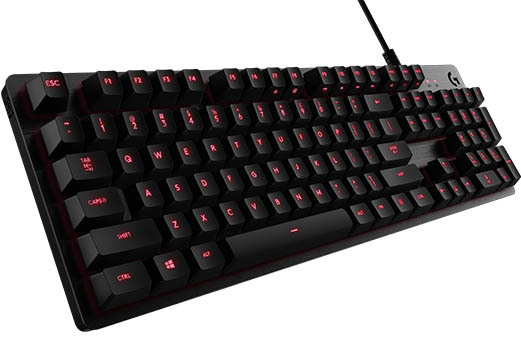 If you follow gaming hardware, then you should know by now that Logitech has a pretty extensive line of mechanical gaming keyboards, and that most all of them have two things in common. First, they're pretty darn good keyboards, and second, they're all a bit pricey. Logitech has realized this as well, and that's what its newest mechanical gaming keyboard is hoping to address. 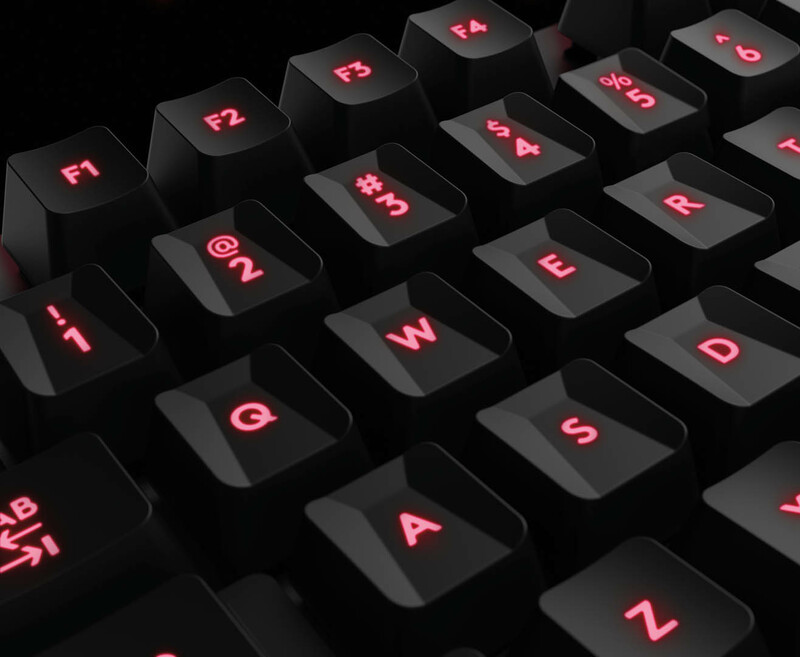 The G413 Carbon packs high-dollar technology into a keyboard that you can pick up for under $100. The first thing you'll notice when you unbox the G413 is that it doesn't look like most of Logitech's offerings. The casing is made of 5052 aircraft aluminum alloy, and has a brushed finish that looks really great on your desk. There are no additional buttons for media, macros, or other functions, and the keyboard bezel has a small footprint, barely extending past the keys. The keyboard is also not as tall as recent offerings like the G810. 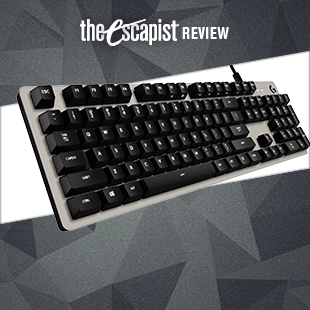 If black isn't your color, there's also a silver version of the keyboard, but that one is exclusive to Best Buy. As you would expect, the G413 features Logitech's proprietary Romer-G switches, which are currently my favorites switches on the market. They have a short actuation point, they feel great, and they're far quieter than most switches you'll find. 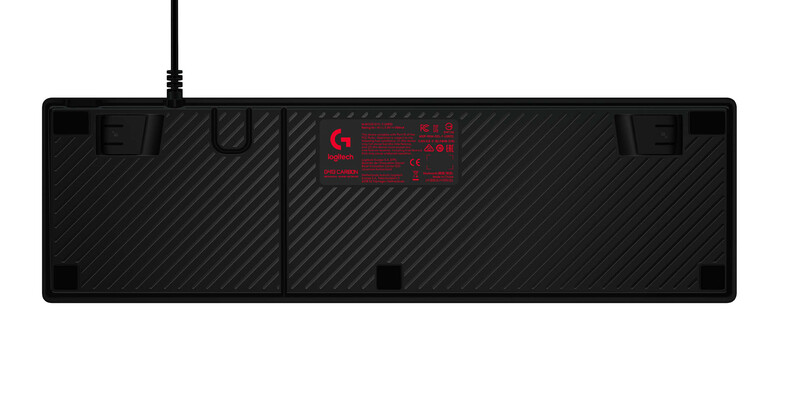 The G413 also incorporates the same processing as the recently-released Pro keyboard. Not only does that mean that the actuation point of the switches is shorter, it also means that the signal is sent faster as well. Logitech says that this technology makes its keyboards the fastest on the market. If you love your macros and media keys, don't despair. 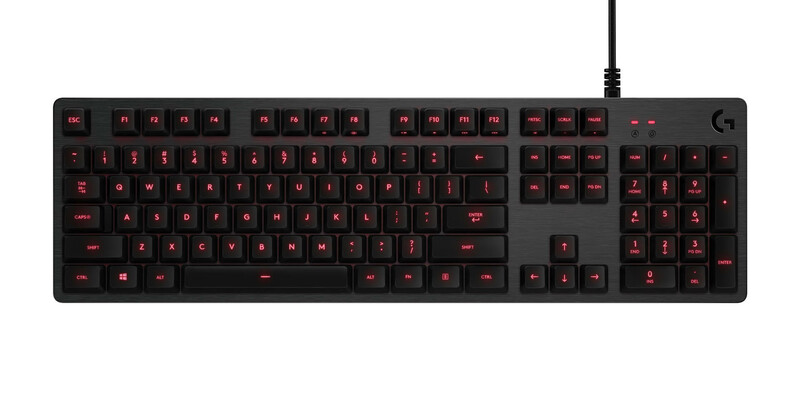 Even though you won't see any dedicated keys on the G413, once you install the Logitech Gaming Software, you can enable what Logitech calls "function key inversion," which allows the unused F-keys to assume those functions. As you'd expect, you can also use the software to set up game-specific profiles that save specific macros, deactivate the Windows key, and more. One thing that you might miss on this keyboard is RGB backlighting. The keys are backlit, but they are always a subdued red color. You can adjust the brightness through the software, as well as enabling a breathing effect, but many of the flashy bells and whistles are missing from this part of the keyboard. You can also use the built-in Overwolf support to add functionality through apps. 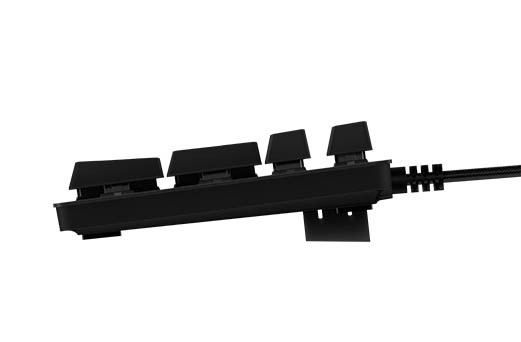 Logitech has also placed a USB 2.0 passthrough port on the back of the keyboard. This is great for things like wireless receivers for headsets or mice, or for adding any temporary peripheral. I wouldn't recommend it for thumb drives, as it lacks the speed of your USB 3.0 ports, but it's great for about anything else. There is one drawback: it has its own dedicated USB plug, so using it will mean your keyboard is eating up two USB ports instead of one. Although there is no wrist rest included with the G413, I still found it comfortable to use for both gaming and daily typing. The keys feel very responsive, and the shorter travel means that you can type much faster than you might expect. 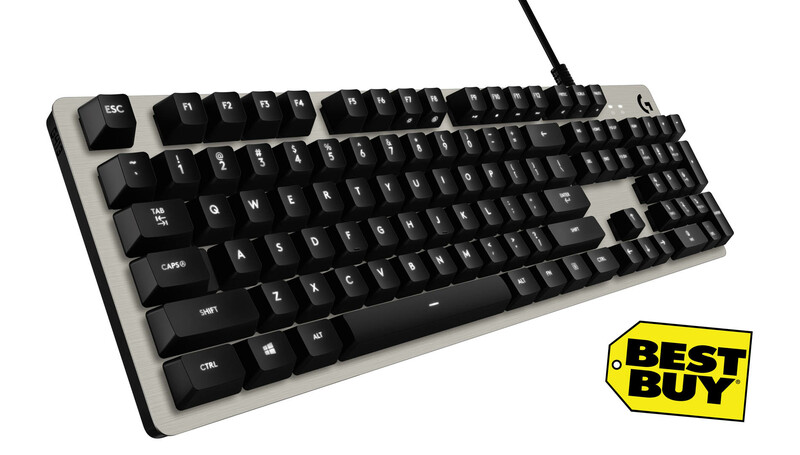 If you're a fan of the faceted keycaps that were on Logitech's G910 keyboard, you'll be glad to hear that the G413 comes with a set of selected faceted keys that you can easily put in place on the keyboard using the included tool. It's not a full set, but you do get the QWER, ASD, and 1-5 keys. 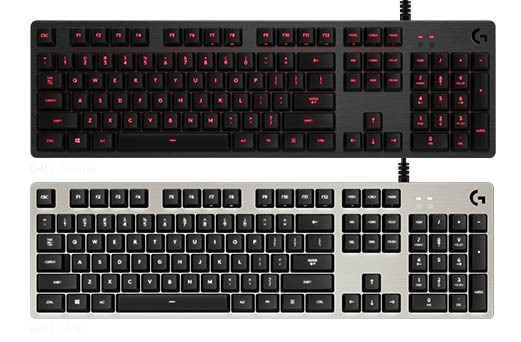 There are plenty of mechanical gaming keyboards out there, and there are plenty of gaming keyboards available for under $100, but very few combine the two. With its $89.99 price point, the G413 does both in a very attractive package. 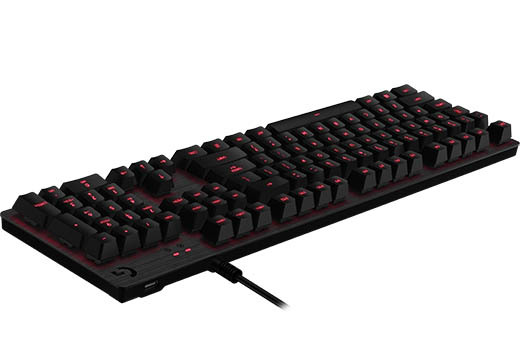 If you're in the market for a mechanical gaming keyboard but don't have a big budget, you can't afford not to check it out. Bottom Line: The Logitech G413 is a winner no matter which color you prefer. It's got a premium fit, finish and feel in a package that can be had just under $90, without sacrificing any quality. If you absolutely must have RGB backlighting, then you'll want to look elsewhere, but everyone else will find a great keyboard at an even better price. Recommendation: The Logitech G413 is a great keyboard for gamers who are looking to see why mechanical keyboards are all the rage. It offers plenty of premium features without the premium price, and includes the best switches on the market as well.